Previously, intranets were admin centric whereby admin used to send all the information but it wasn’t customized to an employee’s individual needs and relevance. This one way approach of traditional intranet made the whole system ineffective and did not do much to enhance overall work productivity. 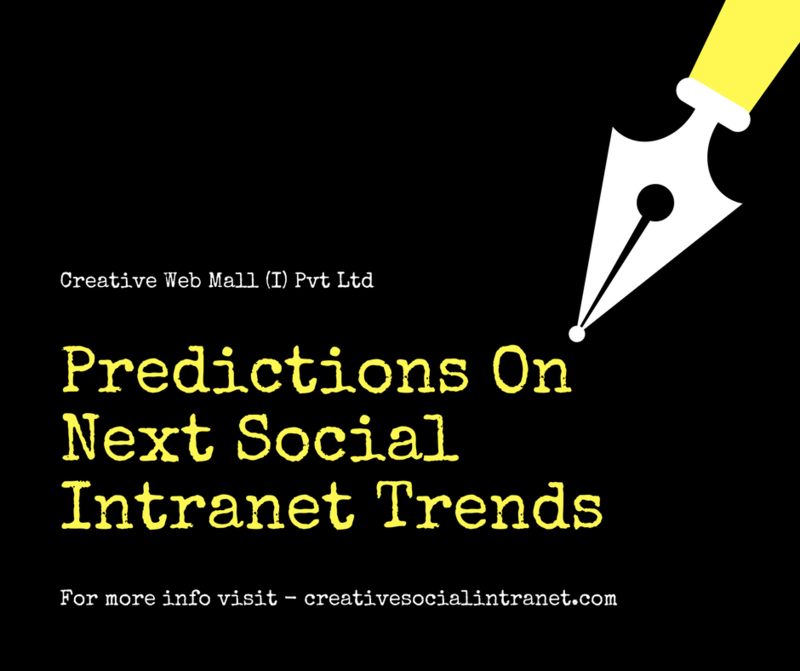 However, intranet applications have transformed dramatically and shifted to modern intranet. Businesses are now adopting a two way communication approach to increase emotional and logical connect with both employees and management. Intranets are customized with respect to company branding and requirements. Companies all over the world are constantly trying to shift to a modern intranet bringing a change in their internal communication through intranets for active engagement with their employees or franchisees. 1. Self help intranet portal – As said self help is best help, A portal which is so easy and enriched with right modern features, that employees need no training to use it, yet can suffice company process and workflow. 2. A single gateway for all the legacy apps – An intranet portal should be your single gateway to all the other company applications. Employees need not remember multiple logins and passwords. 3. A help desk – trouble ticket system in your intranet – An intranet isn’t successful until employees use it for their engagement and collaboration. An online help desk ticketing system, which enable employees to raise ticket, admin to monitor tickets, close tickets and instant messaging will definitely increase company productivity to 5 levels. 4. Employees are companies assets. Making employees happy with rewards and recognition programs can increase company’s commercial success. 5. A software which is accessible from any location and any device – Making your company intranet responsive and online will help employees access it and respond to queries instantly in this smartphone era. 6. Measuring your intranet activities – successful intranets are always measured. It is challenging to determine the metrics that matter most when trying to calculate an intranet’s success. However, this step is extremely crucial in justifying the sheer existence of the intranet and also to analyze budgets. Also, successful intranets have a purpose driven presentation and organization of content. As the organization grows bigger, the amount of content to be shared on the intranet also increases. Proper organization of data with a touch of personalization, customized to the employee’s needs, enhances overall user engagement.